With five climbs and some of the steepest stretches in the entire Tour, this stage (along with Ventoux) will be the toughest test of the race. Almost the entire stage is either up or down. Even the flat parts aren’t really flat. Here is a preview of each climb along with a few viewing tips. 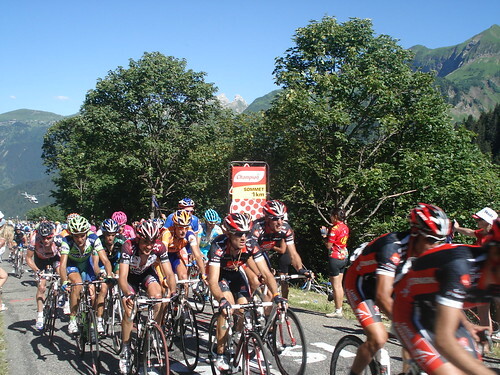 For a preview of Stage 16 – The Grand and Petit St Bernard – see here. 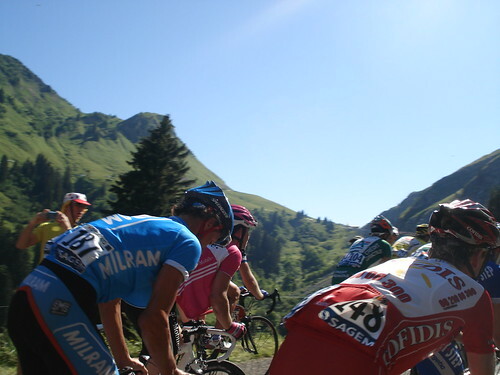 This will be the 10th time Cormet de Roselend has appeared in the Tour. This stunning climb is the highest point of the stage at almost 2000 metres. While never too steep, it’s long and a tough start to the day. The descent is not technical at all – the riders will fly down the other side – past a beautiful alpine lake/dam. 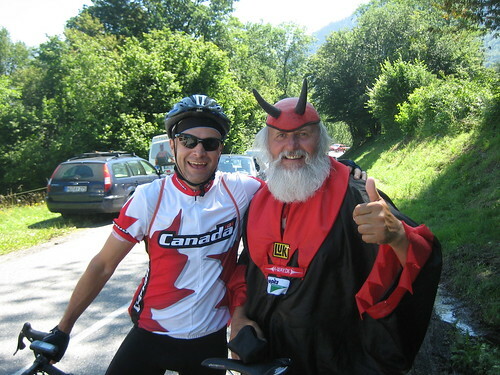 This will be the 10th time Col des Saisies has appeared in the Tour. 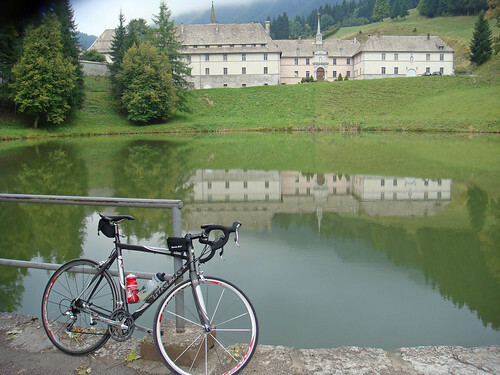 There are 8 ways to cycle up to Saisies (!) – this is the classic south route. Not too steep again – but steady. We are in Beaufort cheese country. 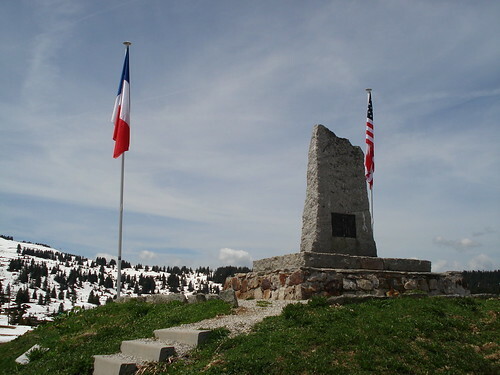 Viewing tip: At the top of Col des Saisies is a French/American WW2 monument commemorating one of the biggest weapon drops to the French resistance – and the death of an American parachutist (see photo above). The smallest climb of the day. 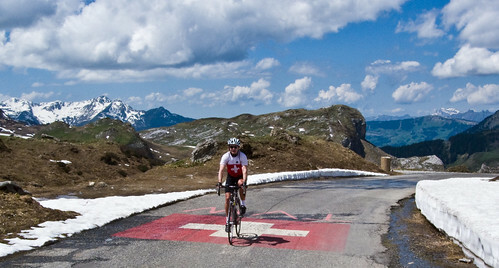 This is in fact the first third of the climb to Col de Pierre Carrée – Flaine ski station. It’s a fun route climbing up a steep cliff face. 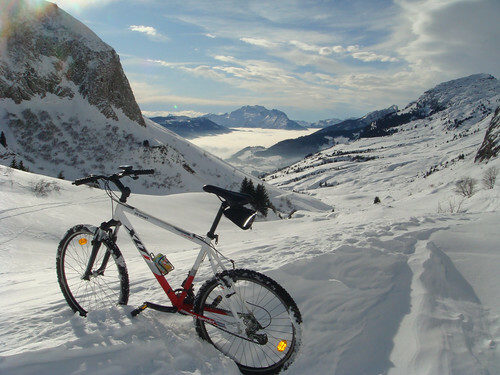 Details of entire climb to Flaine – here. Viewing tip: You are so close to Colombière, watch there, not here. Exciting! 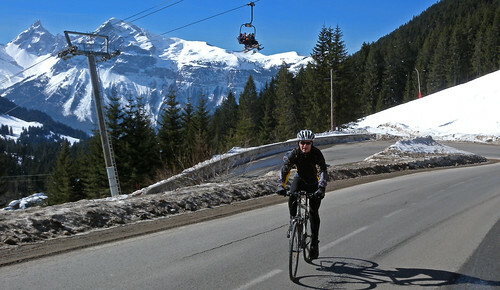 Col de Romme is one of those local rides that we always wish would get added to the tour but assume it never will be. It starts beside the highway and just goes up. Amazing and steep. 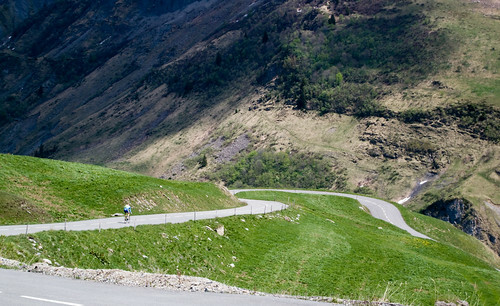 It climbs above the classic route for Col de la Colombière and then descends 5 kms to join it. 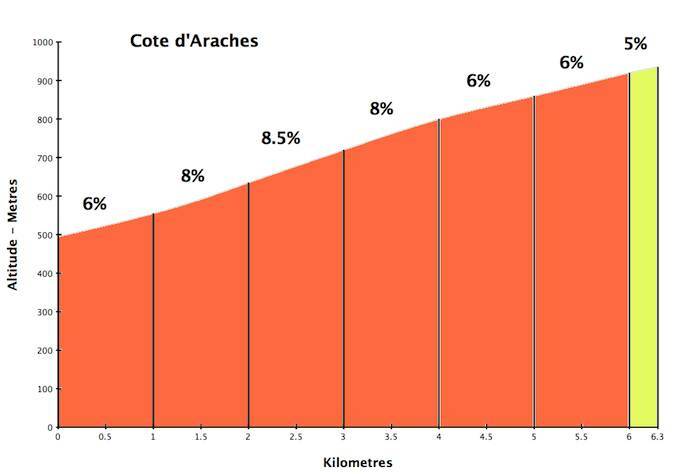 The race will then finish by climbing the nasty half of Col de la Colombière (Colombe = Dove). The last 3 kms are along side a cliff, very steep, and almost always into a strong wind! Last July (yes July), I was hailed on here. We are in Reblochon cheese country. This should be an epic, unbelievably difficult day. I expect the Grupetto to be 40 minutes behind the leaders. 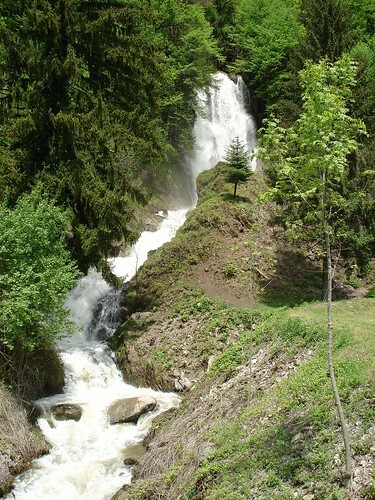 The final descent to Le Grand Bornand is not that long or technical, so first over should win the stage. 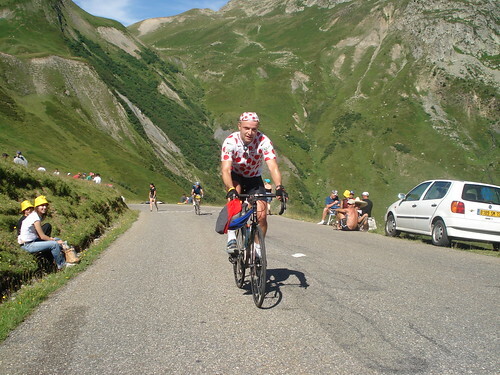 I’ll be the slow bald guy wearing polka dots – riding the final 2 climbs – if you see me say hi. hi guys. i am going to be at stage 17 and 18 too. i’m riding to stage 17 and i find some conflicting maps or the route. the finish is in or very near la grand bornand right? not farther west than saint jean de sixt? Will, Katy will be on her race bike, I’m taking my shopping bike.